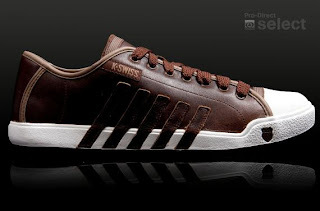 The K Swiss Moulton trainer features the K-Swiss logo embroidered and the legendary 5 stripes on the side, fat laces, a white toe piece also having the logo on the sole, lightly padded ankle and tongue. These K-Swiss trainers were inspired by the graphic iconography of the tennis ball making it a true and ideal tennis shoe. 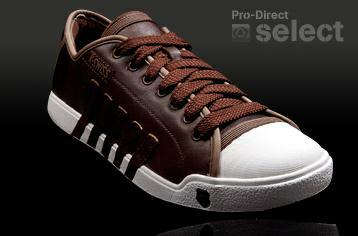 They are ultra comfortable and highly fashionable making these a top notch trainer. They have an aura of a sophisticated 1920's look giving it an instant retro appeal. If you're after stylish court shoes with retro glamour, then these K-Swiss Moulton SMU trainers are the one's for you!